I like how Batman is willing to take time out from his busy schedule of crime-fighting just to pose for me so I might make my fortune exploiting his fame. AND in costume. He really is a hero. 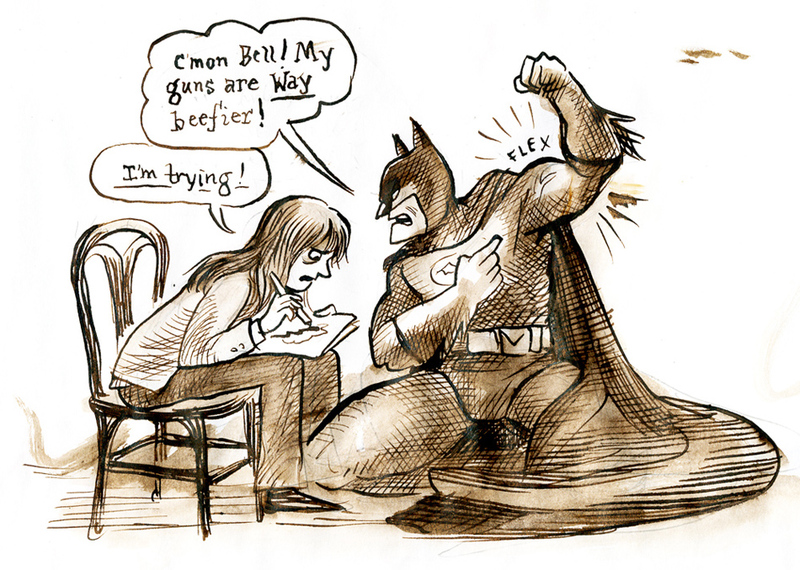 I vote for Laura to draw Batman for DC.